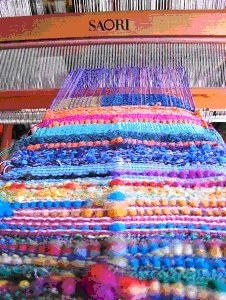 Spend two days with Connie Diamant from the Weavin' Place, Saori Style studio and experience Saori weaving. 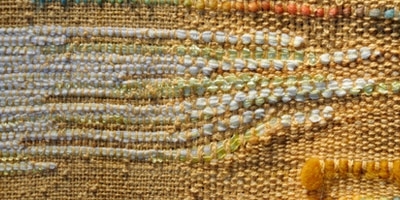 This class is appropriate for experienced and beginning weavers. "I am a fiber freak, and color and texture are “my thing”. It’s hard to admit, but there it is. I love the textures. I love the colors. If only it were chocolate, then I’d be in heaven on earth! I learned to weave 15 years ago and found another wonderful world of yarn. 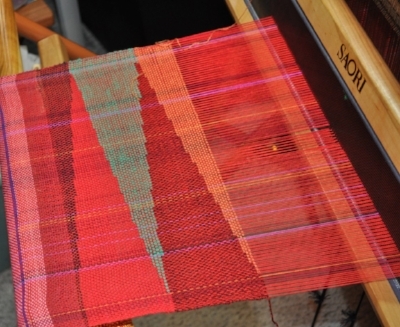 Weaving is a total body experience on a loom. The hands are feeling the yarn and guiding the shuttle; the eyes are seeing the fabric as it is created and experiencing the colors for the first time as they blend together; and the feet provide the rhythm to tie it all together. I am mostly self-taught expanding on basic techniques learned in classes. The love of the yarn is my driving force. 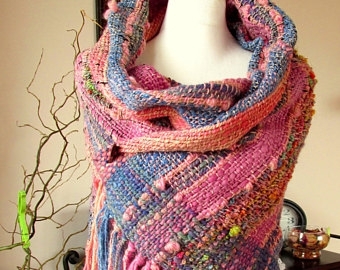 Taking beautiful yarn and making something that shows it at its best–my driving force. Spreading the SAORI Style word is a passion for me. It is such a unique experience and so accessible to all abilities and talents. A studio to share SAORI is a dream come true for me. For more information and to register for this workshop, please visit or call the shop, 330-953-3600.